My close friend owns a full service repair shop and for a steak-n-eggs brekkie on a consistent basis as a retainer, he helps me troubleshoot and do work on a lift in his shop. He has this beautiful ratchet. 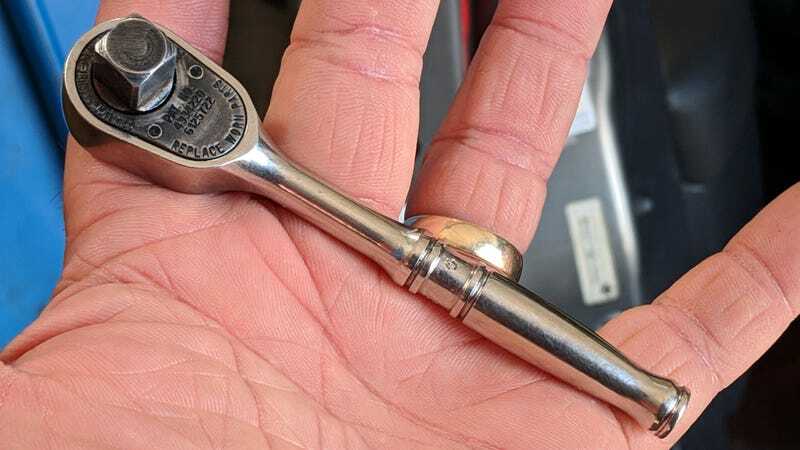 I know I’m a geek when I find a ratchet beautiful. Not very common on Ebay, and about $50 used.